Nothing says summer like ice cream. Okay, ice cream is a year-round treat but it’s more acceptable to eat it a LOT in the summertime. I recently decided to get creative and to put a spin on the traditional Root Beer Float. 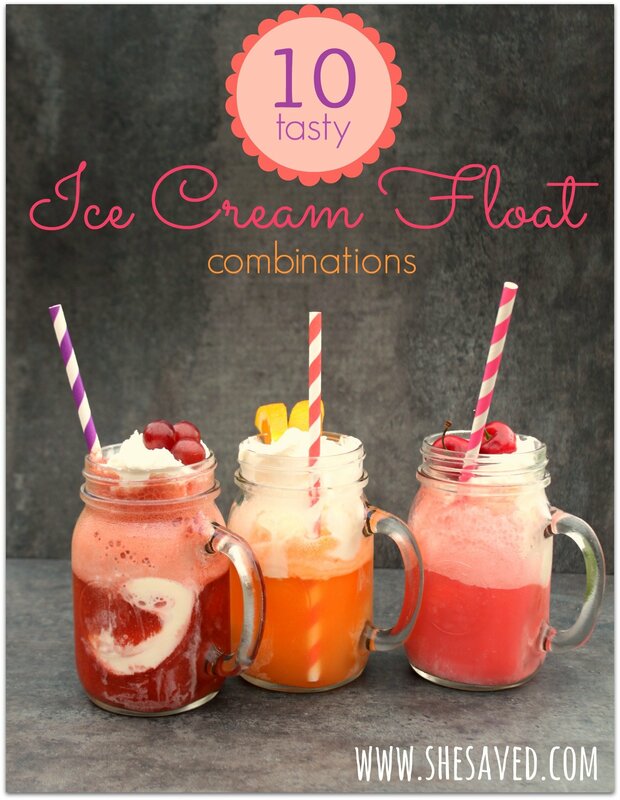 My basic formula for creating a yummy ice cream float is the ice cream (sherbet or sorbet is great, too), soda or juice, and some sort of topping just for that extra yum. Add in a little creativity, and here are the ones you’ll find me making this summer! And the thing I love about these tasty treats is that the kids LOVE them and they couldn’t be easier to make. I can have 3 different flavors on the table in under 10 minutes! And they’re gone just as fast. Slurrrrp!